-The 1958 Chevrolet Corvette was the first ‘Vette with factory installed seat belts. -The first year that an AM/FM radio was offered as an option in a Corvette was 1968. -The last Corvette manufactured to run on the old style “leaded” fuel was produced in 1974. -The most Chevrolet Corvettes ever manufactured in one year was over 53,807 in 1979. -The first Corvette produced with windshield wipers that clear water in the same direction instead of opposing directions was made in 1997. -In 2005, Chevrolet manufactured Corvettes without the famous pop-up headlights for the first time since 1962. 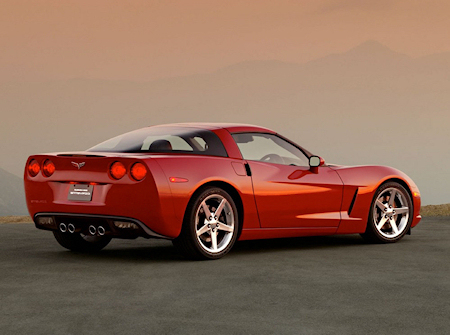 The Chevrolet Corvette has been one of the most popular American made sportscars for decades, and with good reason. From its high performance design that delivers amazing on-road results to the always innovative thinking that brings new options and developments with almost every new model, the Corvette has set itself up to remain the standard by which all other American sportscars will be judged by in the future. Check out CorvetteGuys.com and their line of Corvette Performance Parts. You’re wrong about the AM/FM radio. It was an option at least as early as 64 because I ordered it with my 1st Corvette. It was a vertical design with push buttons. My current 64 Vette has the same radio in it. I had some doubts about it, but couldn’t find any evidence of the contrary.